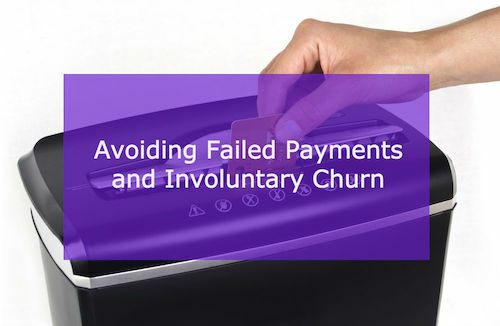 “Involuntary churn” sounds like an unpleasant health condition. But high-risk ecommerce merchants who employ subscription business models know that “churn” has something to do with keeping their subscription customers paying for their subscriptions. Well, if your business model includes a pay-as-you-go service, it’s likely that you experience churn (both voluntary and involuntary). “Pay-as-you-go” translates to the recurring revenue-based business model prevalent in today’s rapidly growing subscription economy. Tenets of this new economy include building and retaining customer relationships by delivering the outcomes customers want, supported by subscriptions and gaining recurring revenue for merchants. While your ecommerce business may not yet be in the same league as Netflix, Amazon Prime, Salesforce.com, Uber, or Spotify — If you employ a subscription model, you’re part of the subscription economy. So what’s the big deal about churn, and should you be taking certain actions to eliminate or limit either voluntary or involuntary churn? Let’s look at those questions, and also at how your merchant account services provider can be your guide to healthier, happier business results through lower rates of involuntary churn. Customer churn occurs when a customer ends his relationship with a company by no longer interacting with a site or service — and no longer paying for the privilege. Simply put, he stops doing business with the company. If the customer takes action (cancels, fails to renew subscription, or doesn’t convert to a paid subscription after a free trial) voluntary churn occurred. Involuntary churn, on the other hand, occurs when subscription cancellation occurs with no action on the customer’s part. Perhaps she received a credit card with a new expiration date, but forgot to update the payment information with the merchant. Or the cost of the subscription pushed the customer’s card balance over her credit limit, which cancelled the transaction. Either way, the merchant loses a customer and fails to earn revenue. Involuntary churn directly affects ecommerce merchant revenues. If it occurs frequently, revenue projections can miss the mark by miles. And you may even lose money on the deal, if customer acquisition costs are incurred but not recouped. Early in the U.S. transition to EMV cards, issuance of new chip cards caused havoc for subscription-based businesses. New account numbers or expiration dates didn’t match subscription records, so payment transactions failed. Extrapolate that on a large scale, and business growth projections and profits may be badly impacted. Netflix experienced serious ramifications from involuntary churn in 2015 when (according to a Bloomberg story) the EMV chip card transition hit them hard. As Netflix subscribers received new chip cards, issuing banks automatically deactivated their old cards. Large numbers of subscribers failed to update Netflix billing information — their payments could not be processed — and merchants canceled subscriptions due to lack of payment. The number of Netflix subscribers fell substantially below Wall Street expectations, and the stock price fell nearly 7 percent. Ouch. In addition to potential revenue implications, involuntary churn can negatively impact your customers’ experience of doing business with you. Many find it annoying to have to update their billing information; some may choose to walk away rather than make the effort. Merchants naturally focus on new customer acquisition, rather than retaining existing customers. That puts a higher priority on managing voluntary churn. But Forrester suggests that’s not the right way to support the long-term growth of your business. Better communication with customers. Alert them in advance of subscription expiry, and request that they confirm their payment information is up-to-date. Sweeten the deal by including useful information as a give-away in the message. Consider automatically extending subscription expiration dates for expired credit cards at renewal time. Combine this with friendly “dunning notices” to those customers letting them know of the temporary extension. Better overall customer communication focused on improving customer loyalty — which pays off in many ways. Remember it’s usually cheaper to retain an existing customer than to land a new one… A truism for involuntary churn reduction too. If you own a business that charges customers on a weekly, monthly or annual schedule, recurring billing accounts can ensure your payments process quickly and effectively. Maximize your revenues while making it easy for your customers to pay for products or services. To achieve the ideal recurring billing merchant account for your business, choose a merchant account services provider who’s expert in the payments industry, and who understands the subscription business model. Keep in mind that it’s critical to work with a specialist for secure transactions. This link repeats from above — be sure to check out the bullet points at the end of the post, for more tips on how the right payments processing partner can guide you to subscription economy success. He’ll cure what ails you… by helping to optimize transactions and putting the right tools in place to minimize involuntary churn.